Americans are in an uproar about illegal immigrant parents and children separated at the border. The level of hysteria surrounding this topic has reached a fever pitch with senators like Chuck Schumer mugging distraught for the cameras at every opportunity. While the shrill voices shriek loudly about the rights of Mexicans and other assorted border jumpers, American parental rights are being stripped from them, unconstitutionally, every single day. American parents have lost their due process and Fourth Amendment rights, and most of them don't even know it. Most anyone who has been visited by Child Protective Services can testify to the absolute terror that the state can inflict on a family for very little or no reason at all. 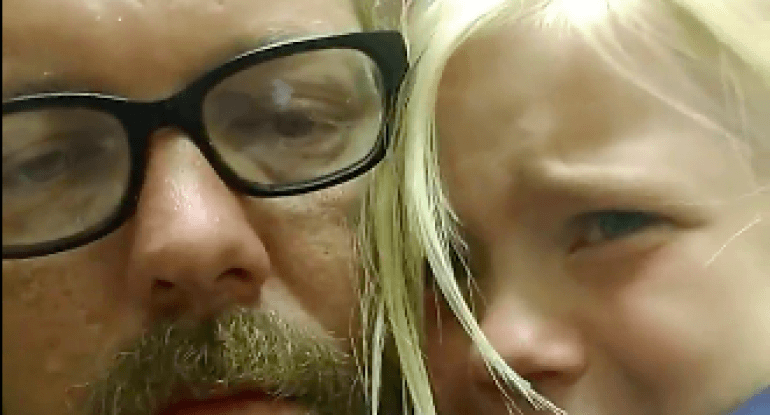 Right now in the state of Mississippi, Michael Chambers is missing his little girl, Belle. His nightmare began when a Mississippi social worker, Kyra Reed (who also goes by Kyra Carson), knocked on his door demanding entrance without a warrant. Chambers was never told what the charges were. Chambers refused to allow the social worker in without a warrant, and this began a process of the social worker trying to get into the home without a warrant. When she was unsuccessful, she simply abducted Chambers' daughter from school. MK, your points here are all well taken and the Chambers story, like so many, is heartbreaking. I do, however wish you would reconsider the words “border jumpers” in this piece as those words, while interpretable as neutral, are more likely to be read a callous and may lead to readers not finishing the piece. I am deeply appreciative of your work and follow closely. But those words did indeed feel callous. In my own circle, I have been pointing out the hypocrisy of our politicians and media in front paging border separations while engaging in near complete black out on the middle of night kidnappings Americans experience daily. Nor are the politicians and media crediting CPS terror with a sea change in how we parent — better to critique helicopter moms than admit that at some level we’re all afraid that if we don’t police our kids the state will take them and do it for us. The hypocrisy in media, politicians, and the rest of us is astonishing when it comes to seeing the border seizures as an issue but not such kidnappings throughout America, as a matter of course, monetized, and off the rails since Clinton, not counting the kidnapping of slave and indigenous children in psychological/political warfare against those populations. The US has quite literally used abduction of children as a means of controlling populations — forever. Nevertheless, the use of “border jumpers” comes across as a bit glib under the circumstances and I think is counterproductive to your mission at this time. Your points are well received. Please understand that this is NOT a MedicalKidnap/Health Impact News authored article. It is a guest post republished from another news organization that wanted greater exposure to this topic. As such, we are not free to edit the piece. But like you pointed out, the overall content is appropriate and needs to be heard. You might want to consider going to the original source and making your comment directly to the reporter, as she does not write for Health Impact News. I'm sick of you wimps. File a civil suit against the social worker. Hello? Then go after CPS, the town, the sheriffs, the sheriff's office, City Hall, the school, etc. Just do it and stop cry babying. This is what it's going to take. Get a lawyer outside of town, who will take this on CONTINGENCY. HELLo? This is kidnapping. A federal offense. File those CIVIL SUITS.